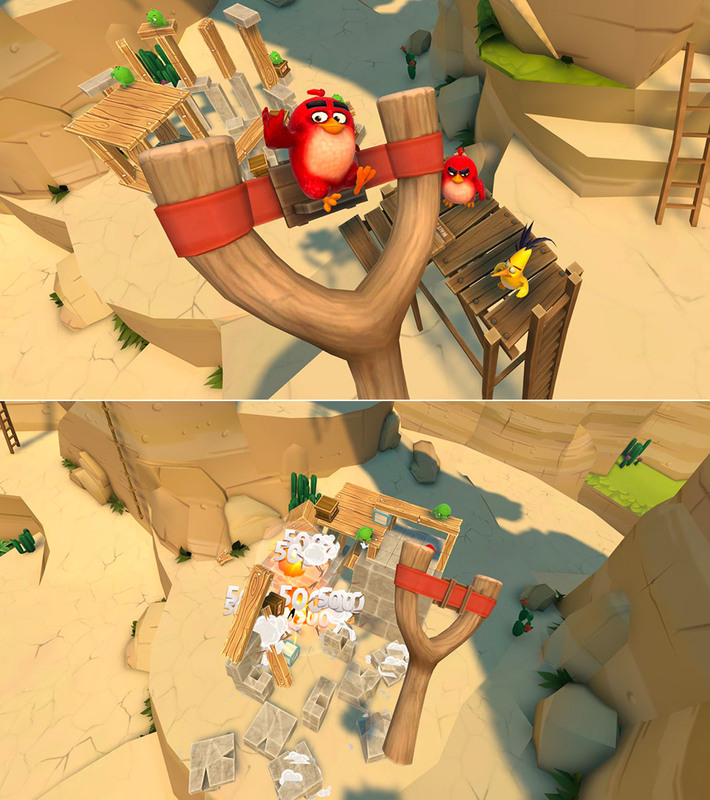 Angry Birds fans rejoice! Isle of Pigs is the first time fans will be able to slingshot the likes of Red, Chuck, Bomb and the Blues within the fully immersive environment of VR. It will launch with more than 50 levels of gameplay where players travel around a remote island that the infamous green pigs often vacation. HTC Vive as well as Oculus Rift users can bombard the island’s exotic beaches, steep cliffs, snowy slopes and party city to take on the green pigs, destroy their structures and retrieve the stolen eggs. Just like the mobile versions, these levels can be approached from different angles for the best accuracy, while players leverage classic gameplay elements to progress or strive for three stars on all rounds. Read more for a hands-on video review and additional information. “What’s more, since players are firing upon a 3D structure in VR, they’ll be able to transport around the buildings to specific vantage points, allowing them to take advantage of otherwise hidden weak points and inflict maximum damage with each shot,” according to Engadget.